New Yelawolf single, the last one before LOVE STORY drops next Tuesday! This song has Yeller singing alongside one of Eminem’s best verses in recent memory. Catch the Yelawolf LOVE STORY Album Release Party this weekend on SKRATCH N SNIFF!! Yelawolf drops his 3rd single from the upcoming album LOVE STORY. Catch “American You” in the mix on SKRATCH N SNIFF this weekend! New music from The Kooks – in the SKRATCH N SNIFF ALT Mix this weekend! New music from the English power duo Royal Blood. 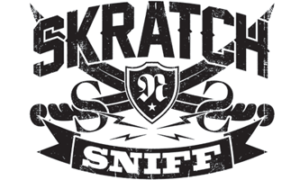 In the SKRATCH N SNIFF Rock Mix this weekend! New music from Smashing Satellites. In the SKRATCH N SNIFF Rock Mix this weekend.